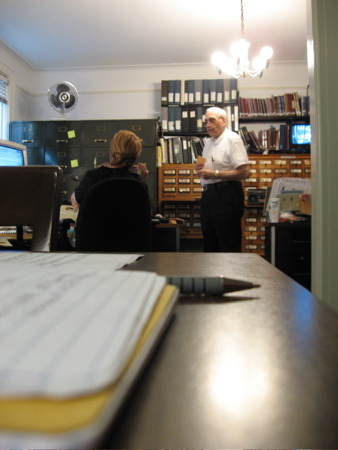 Professor Lloyd Ultan in Bronx Historical Society library. Here, at long last, is the second part of my interview with Bronx Borough Historian Professor Lloyd Ultan. Or download the podcast as an mp3. 01:14 What makes the Bronx unique? Its size / parks / types of homes. The Bronx is large enough to be the 6th largest city in America. 02:41 Bronx population is very diverse. 07:03 European immigrants come to the Bronx from Ireland and Germany. 10:00 Eastern European Jews arrive in the Bronx. Baron de Hirsch Fund established workshops to teach Jewish immigrants industrial skills necessary for living in an urban environment. 11:34 African-Americans and Puerto Ricans arrive in the Bronx. 11:56 In 1980s to 1990s, the Bronx becomes still more diverse. Robert Barry Coffin, writing as Barry Gray, wrote “Cakes and Ale at Woodbine: from Twelfth Night to New Year’s Day”, “Out of Town: A Rural Episode”. 14:15 Edgar Allan Poe lived in Fordham in 1846. 17:08 Small bohemian community of Broadway actors and actresses lived on Wilton Street near St. Ann’s Avenue, west of St. Mary’s Park. 17:50 East and north of Crotona Park, writers gathered in Crotona Park. These writers were Eastern European Jews who wrote in Yiddish. 18:43 Literary salon in the home of a Bronx dentist and his wife every Sunday. “The Bronx In The Innocent Years, 1890 – 1925”, with Gary Hermalyn (1991 2nd ed). “The Beautiful Bronx, 1920-1950” , (1979). “The Bronx: It was Only Yesterday, 1935 – 1965”, with Gary Hermalyn (1992). “Bronx Accent: A Literary And Pictorial History of the Borough”, with Barbara Unger (2000). “The Northern Borough: A History of the Bronx”, to be released this year. It is the first single volume on the history of the Bronx since 1912. 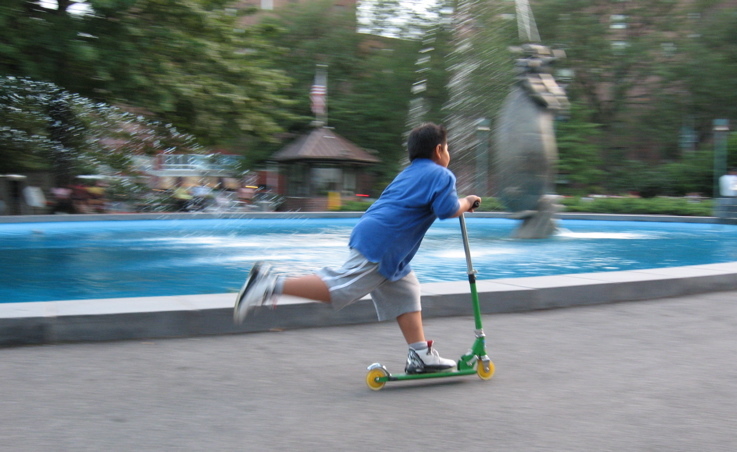 A summer day in Parkchester. Summer arrived late this year and left in a big ol’hurry. How long did it stay? All of us waited the entire month of June for the rains to stop. Every weekend thereafter, I was sitting on either a plane or train or bus en route to another station or to wait in a customs line or to visit family. Back home in the Bronx I was missing outdoor concerts and film screenings and biking to Orchard Beach and taking dips in the Castle Hill Y pool. I’d been squeezing a normal June-to-August-summer into the 17 minute one we were dealt this year. Though it warmed my heart, and ego, to read your emails and posts, I was sorry that some of you had to ask my whereabouts. I hadn’t realized how much time had passed since my last update. I was certainly writing posts, very good ones in fact…in my head. My hiatus has come to a close and I’m glad to be back.